The cooling cycle may be defined as the heat changes created as a result of the spreading of any coolant absorbing the heat. Such heat changes happen in a cooler. After the coolant under the low pressure is conveyed to the high pressure by a fluid compressor, it is conveyed to the condenser. 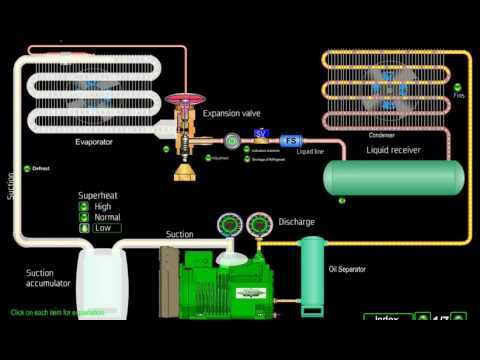 Sweating is created in the condenser and conveyed to the expansion valve and it is passed from here and it is converted into the liquid with low pressure. And then cooling happens by means of evaporator. In these procedures, storage spaces or living spaces are cooled by means of conveying the heat from the source in a low temperature to the environment in a high temperature. The heat normally moves from the high temperature to the low temperature. Therefore, insulation has a big importance on the procedures carried out. Therefore, insulation materials with low heat transmission coefficient are used. Polyurethane is the most important thing used frequently in today’s systems. Insulation is used to protect the low temperature in the cooled space and to reduce the energy and the power required to reach the low temperature. 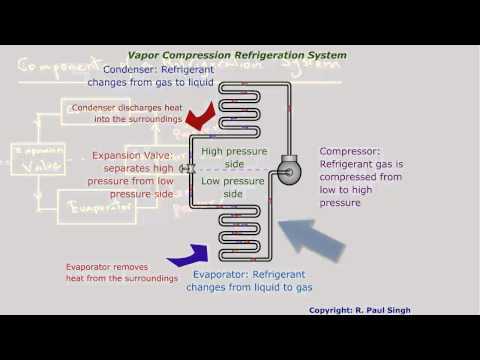 The working principle of the cooling cycle was mathematically defined by Sami Carnot with a heat machine. The most general cooling systems use the cycle based on the heat pump with phase change, also, absorbing heat pumps are used in most of the procedures.